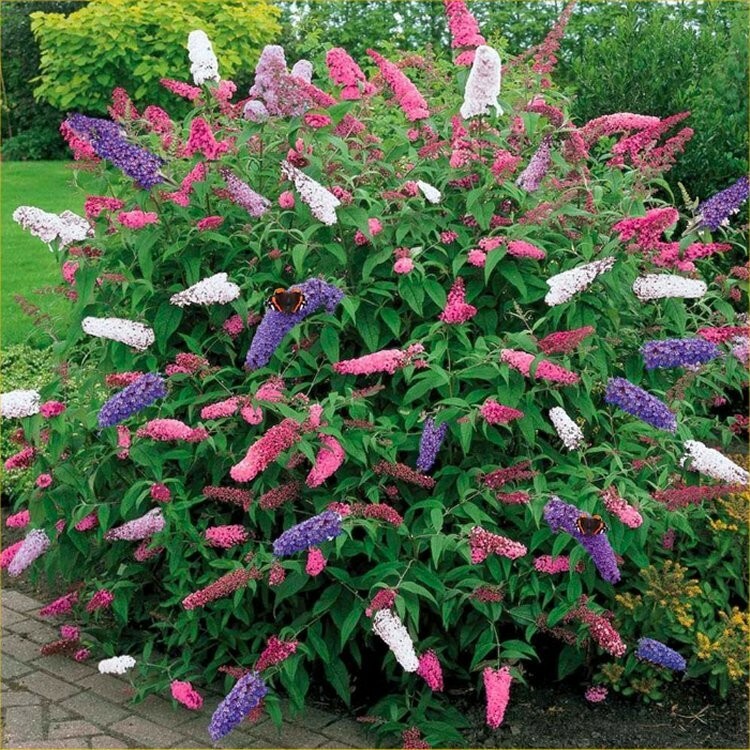 Our Tricolour Buddleia really is a fantastic plant, it is the very special Butterfly bush to have, as you'll get three different flower colours on the same plant - or at least that how it appears, as we have grown three different varities together as one. As the plant develops, the branches intermingle, creating an intriguing mixed colour effect that will really get the neighbours talking! Easy to grow and extremely fragrant, the Tricolour Buddleia is a fantastic, tough and reliable shrub. A really lovely plant, noted for a compact habit and amazing flower production and colour. This really does have vivid rich colour unlike any other buddleia seen before. The plants are really well branched, which means extra florets of blooms compared to other varieties, and these appear all summer long. Like all Buddleias, this is a butterfly magnet, although it will of course draw people to its honey fragranced flowers as well! 4-5 litre pot grown plants supplied, ready to plant out in the garden and enjoy for years to come.